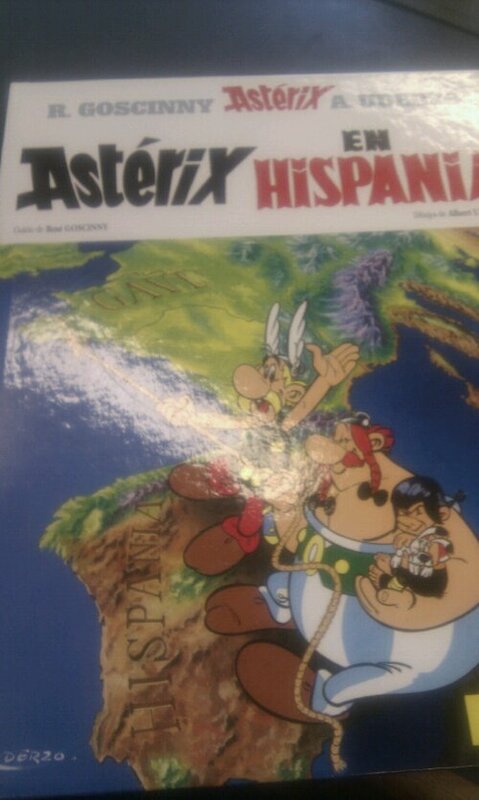 We are up to page 15 of our Asterix en Hispania book and have been there for over a month. I was reminded when the library asked me to ‘renew, return or face a late charge’. What do about it? Keep holding on to the book and persevere or accept that we’re not going to finish it and move on? How would this baby ever learn to read? I told the dad that I wanted to write about the Asterix book and what lesson to take from our hiatus. What’s the best ideal – perseverance or non-attachment, moving on, acceptance etc. He probably thought I was being passive aggressive and picking on him for not finishing it. I’m not. We see him nearly every day and he’s a busy guy so I have no issue with the amount of time he gives to little M. I’m impressed with that part. The thing is that there are so many books out there that we could be reading as well. He’s determined to finish it, I’m tempted to return it and take away things that we ‘have’ to do. However, I have a terrible pattern in my own life of not finishing things so this could be a good practise for both of us. I renewed the book and will keep doing so but maybe I won’t be so attached to either idea, letting go or moving on. Update: I have been reading The Genius In All Of Us by David Shenk and the main lesson is that genius, talent and expertise in something come from perseverance and hard work. There is also great encouragement in persistence making the difference between mediocrity and enormous success. We started so we’ll finish, perseverance sounds like a better lesson. This entry was posted in Baby, reading and tagged Asterix, baby reading, perseverance, reading, teaching the baby. Bookmark the permalink. Oh dear, I think Mersina will never learn to read if you don’t finish the book! At this moment, I think the quality time of sharing a book (or a toy, or anything) with your baby is the most important. She’ll probably learn to read by herself. She has clever parents, doesn’t she?